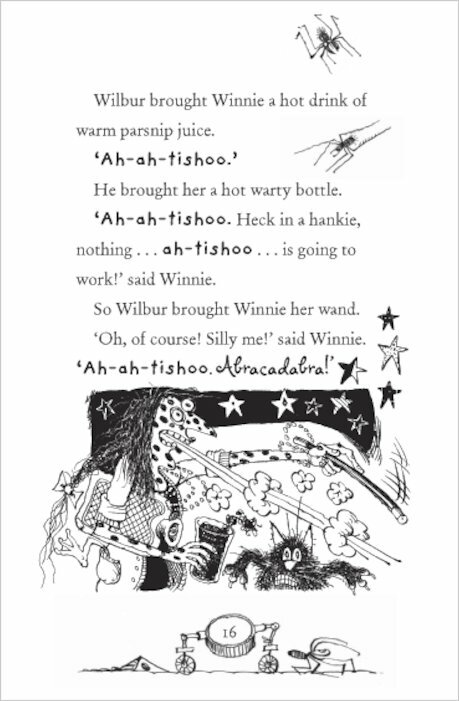 Winnie is a witch of very wayward habits. 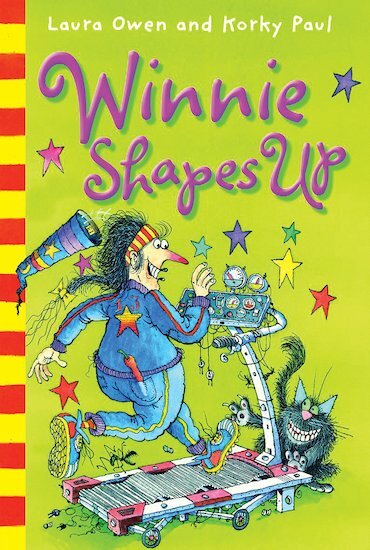 She’s on a mission to shape up in all sorts of ways! But whether she’s keeping fit or trying to keep quiet, can she control herself for long? 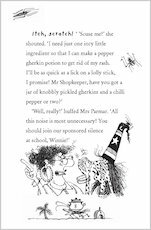 Find out as she attempts a sponsored silence (livening it up with her outrageous stories), and enters a pancake race in the village fete, causing a messy disaster! 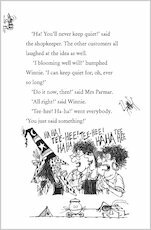 More laughter is in store when she breaks her broomstick navigation system and ends up being kidnapped by aliens. 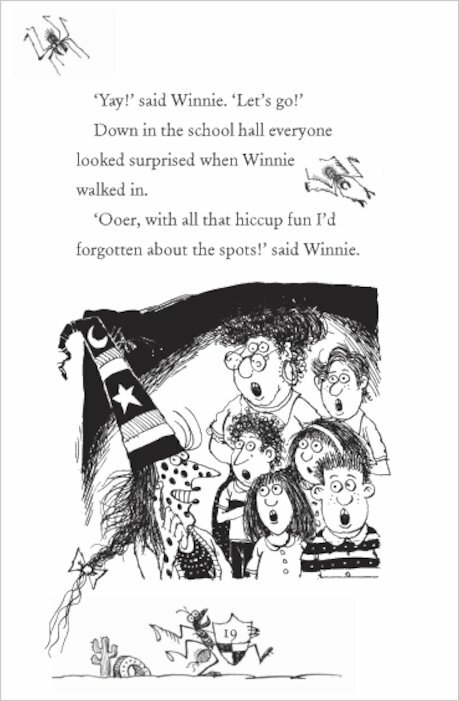 And when Winnie decides to fight the flab by hitting the local gym, she leaves the unlucky swimmers sharing their pool with a shark! 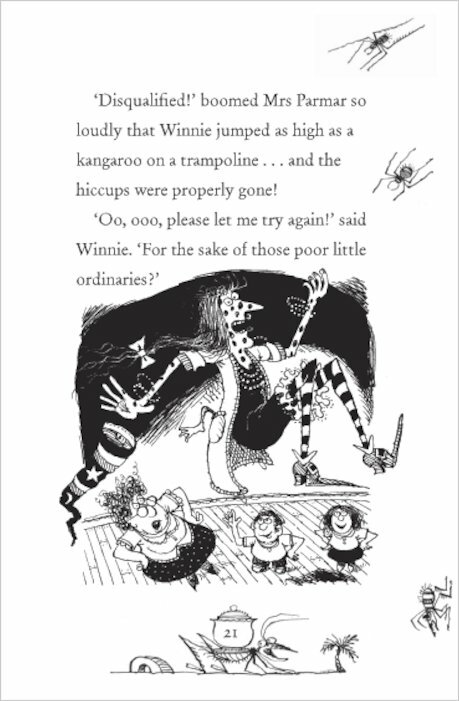 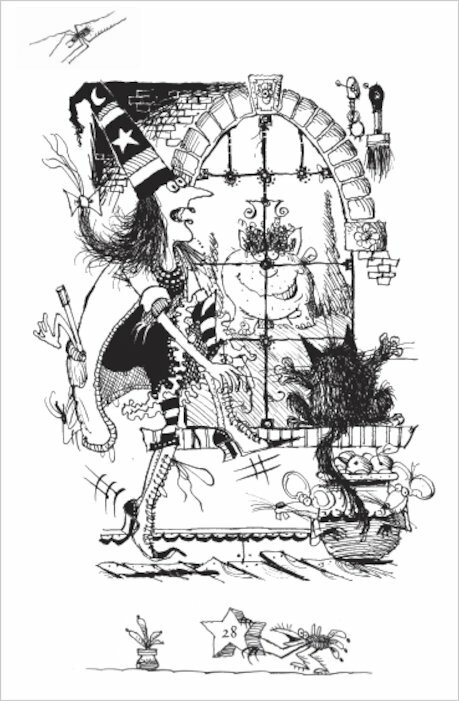 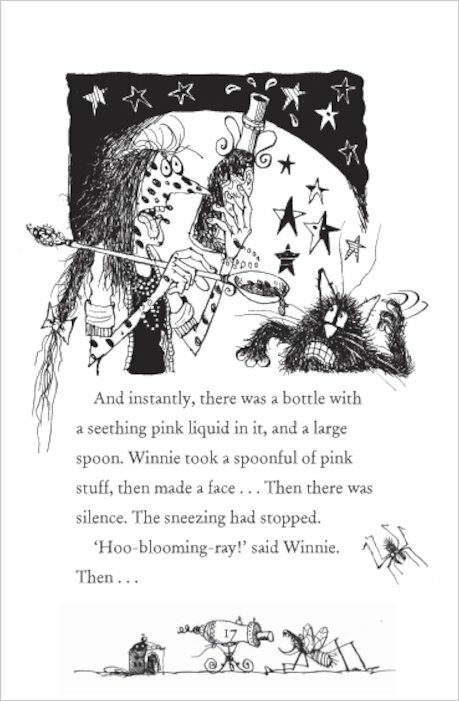 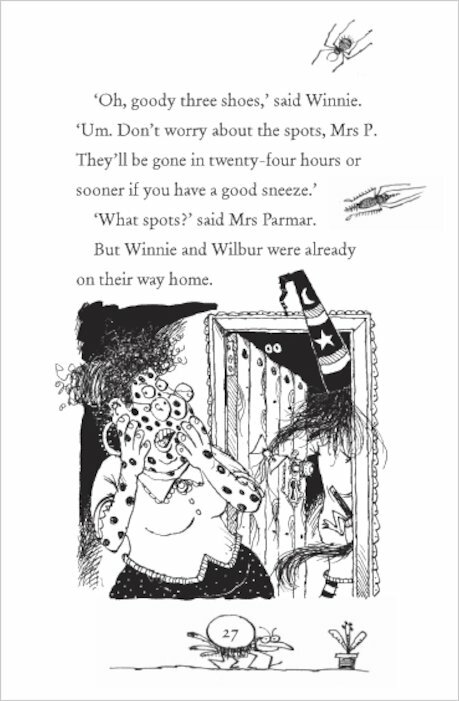 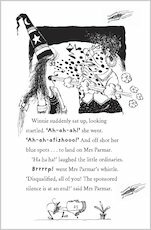 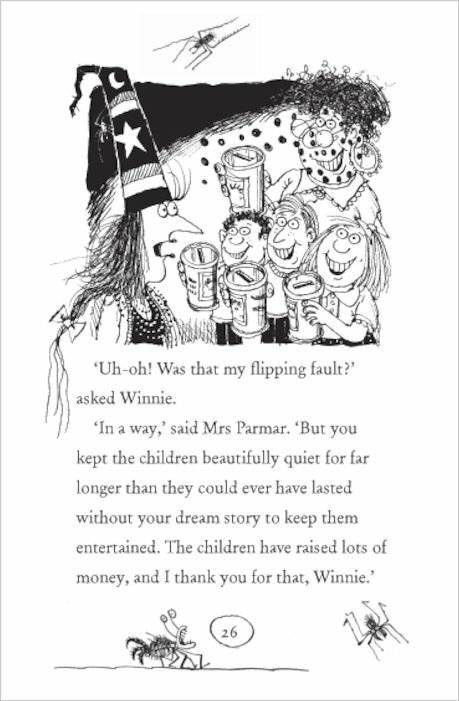 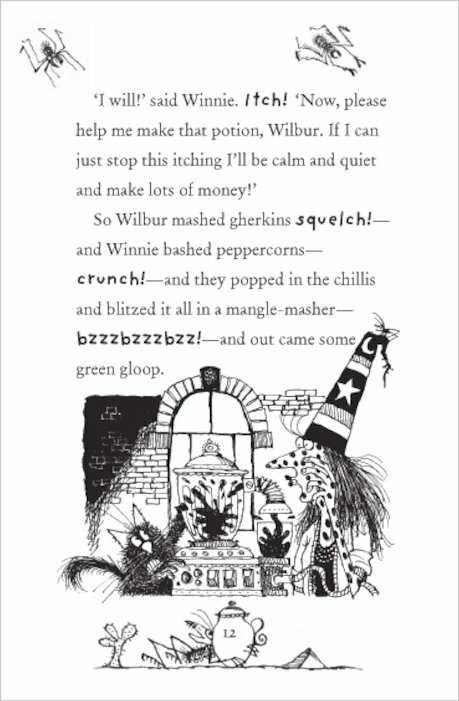 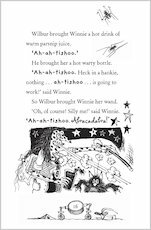 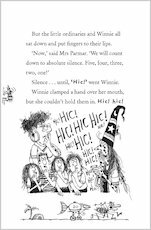 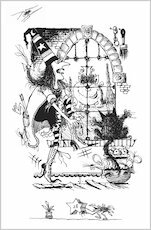 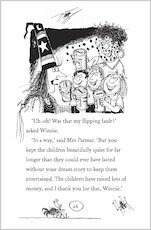 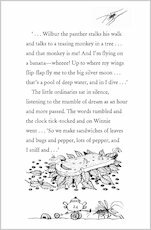 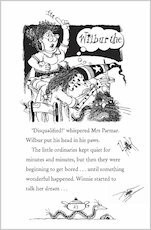 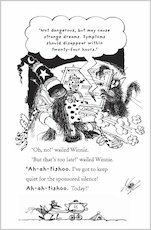 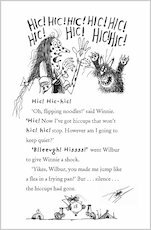 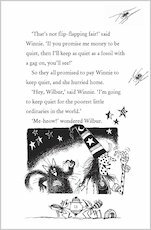 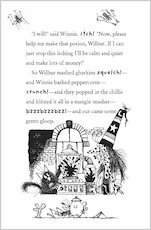 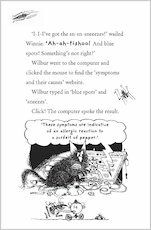 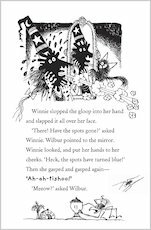 Four more crazily funny stories starring the world’s favourite witch, illustrated in black and white by Korky Paul. 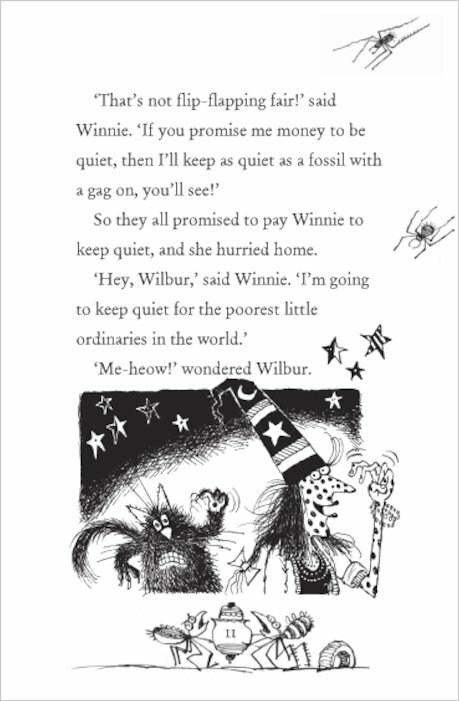 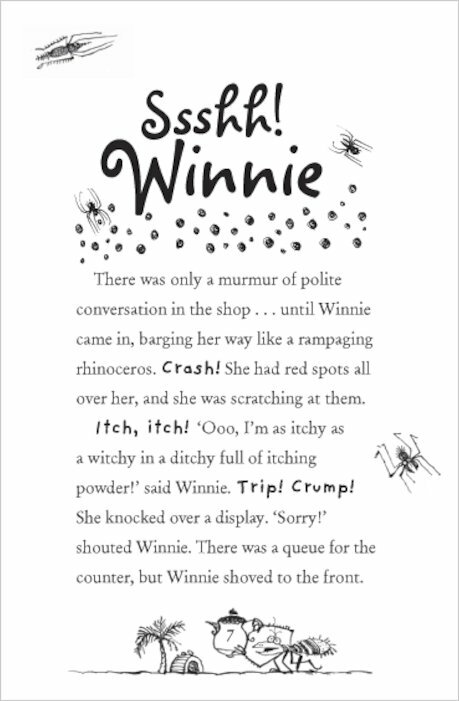 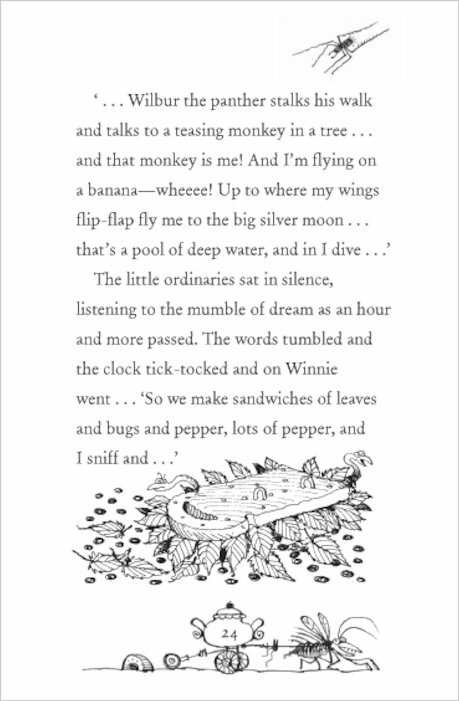 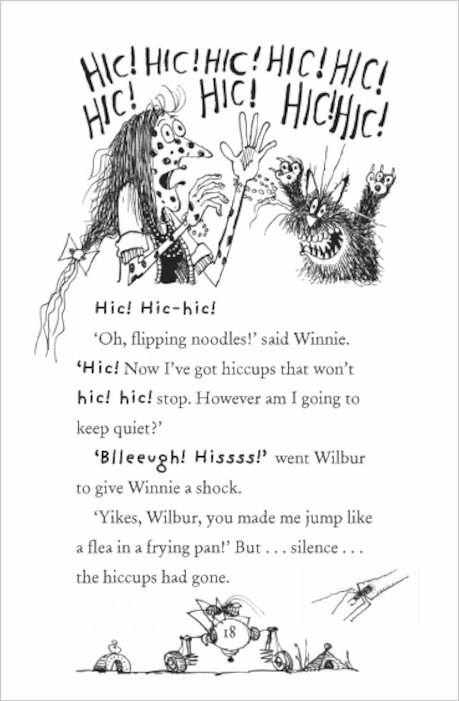 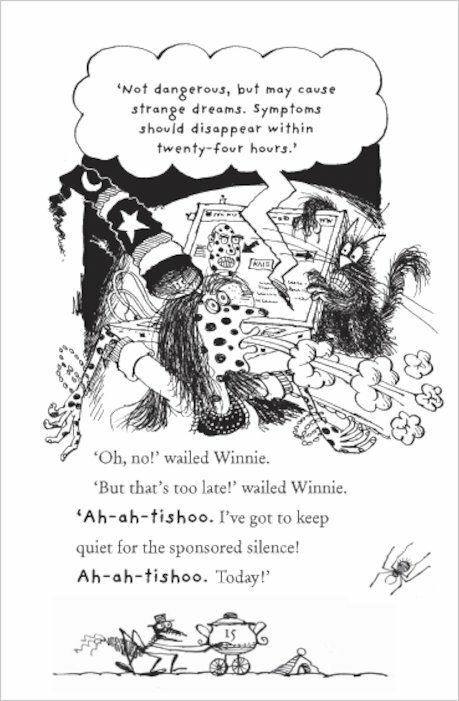 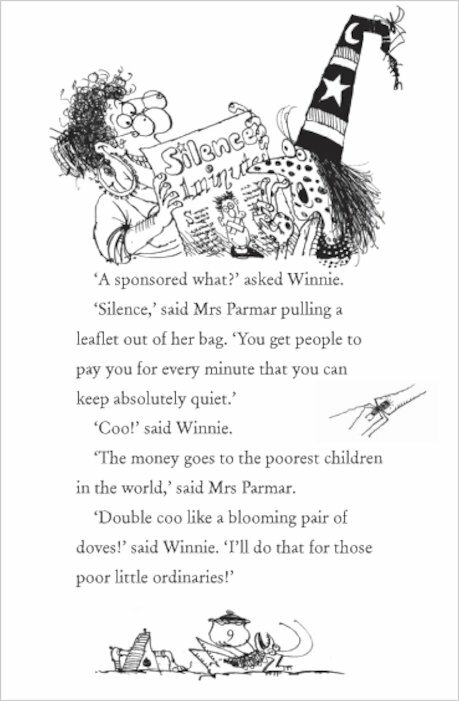 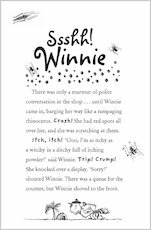 Winnie has to keep silent but can she do it…NO!! 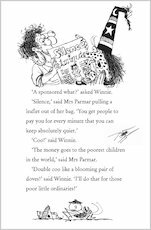 But still the children raise a lot of money because of her story!!! ( Which was in her weird dream!!! ) 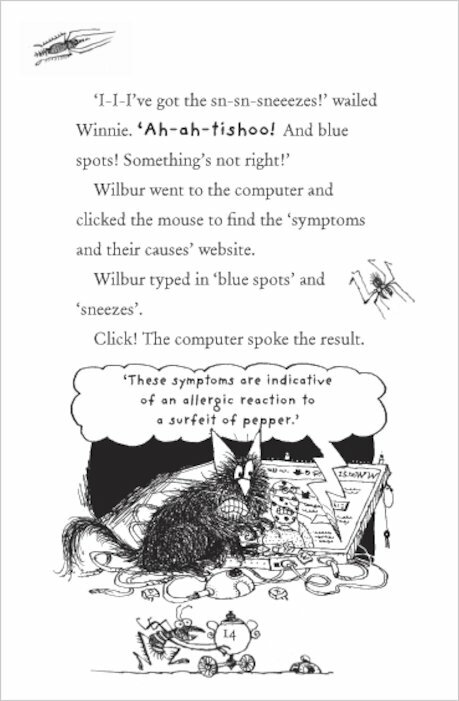 Read this to know more!! 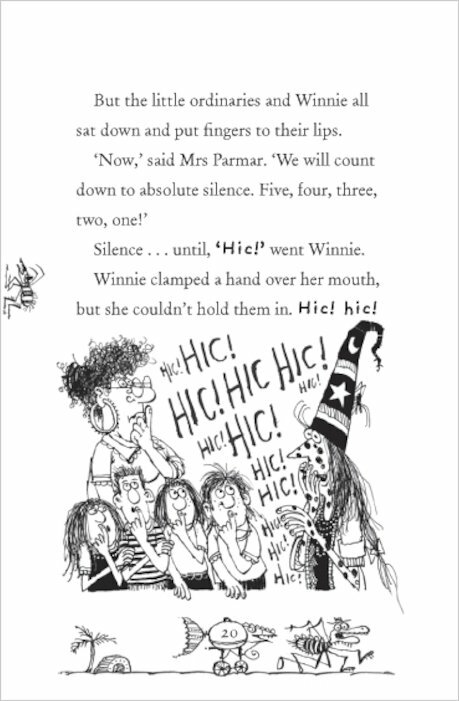 Winnie is a witch of very wayward habits. She’s on a mission to shape up in all sorts of ways! 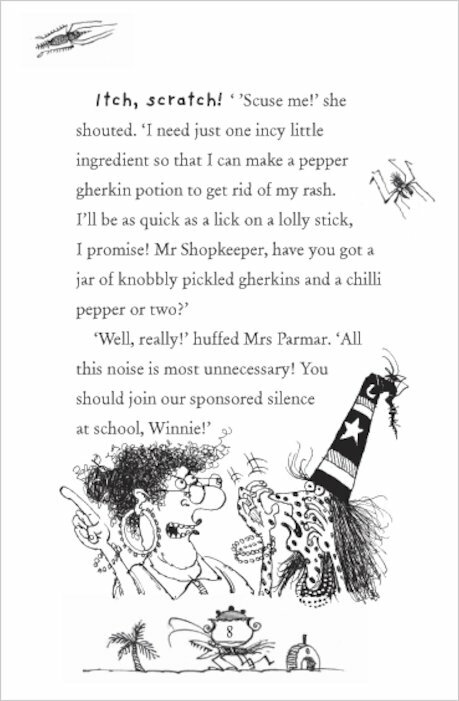 But whether she’s keeping fit or trying to keep quiet, (livening it up with her outrageous stories), and enters a pancake race in the village fete, causing a messy disaster! 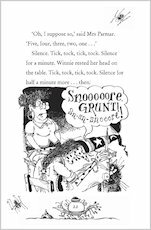 More laughter is in store when she breaks her broomstick navigation system and ends up being kidnapped by aliens. 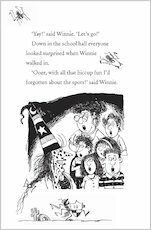 And when Winnie decides to fight the flab by hitting the local gym, she leaves the unlucky swimmers sharing their pool with a shark!